This is a semantic segmentation tutorial for reproducing state-of-the-art results on Pascal VOC dataset using Gluon CV toolkit. State-of-the-art results [Chen17] [Zhao17] on Pascal VOC dataset are typically difficult to reproduce due to the sophisticated training details. In this tutorial we walk through our state-of-the-art implementation step-by-step. We implemented state-of-the-art semantic segmentation model of DeepLabV3 in Gluon-CV. Atrous Spatial Pyramid Pooling (ASPP) is the key part of DeepLabV3 model, which is built on top of FCN. It combines multiple scale features with different receptive field sizes, by using different atrous rate of dilated convolution and incorporating a global pooling branch with a global receptive field. Pascal VOC dataset [Everingham10] has 2,913 images in training and validation sets. The augmented set [Hariharan15] has 10,582 and 1449 training and validation images. We first fine-tune the COCO pretrained model on Pascal Augmentation dataset, then fine-tune again on Pascal VOC dataset to get the best performance. We first use the base learning rate of 0.01 to pretrain on MS-COCO dataset, then we divide the base learning rate by 10 times and 100 times respectively when fine-tuning on Pascal Augmented dataset and Pascal VOC original dataset. Chen, Liang-Chieh, et al. 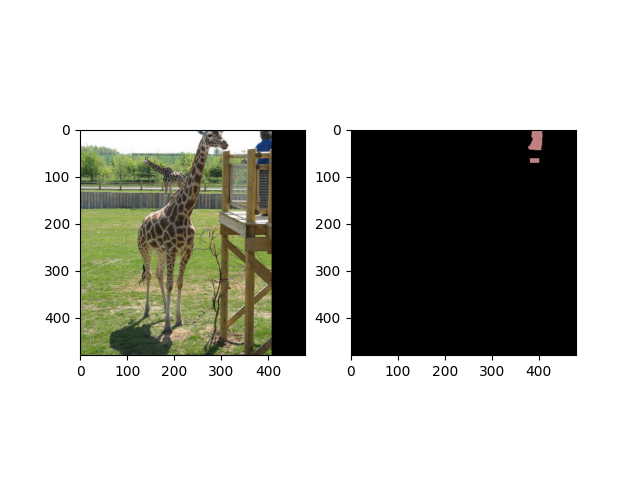 “Rethinking atrous convolution for semantic image segmentation.” arXiv preprint arXiv:1706.05587 (2017). Everingham, Mark, Luc Van Gool, Christopher KI Williams, John Winn, and Andrew Zisserman. “The pascal visual object classes (voc) challenge.” International journal of computer vision 88, no. 2 (2010): 303-338. Hariharan, Bharath, Pablo Arbeláez, Ross Girshick, and Jitendra Malik. “Hypercolumns for object segmentation and fine-grained localization.” In Proceedings of the IEEE conference on computer vision and pattern recognition, pp. 447-456. 2015.